This book was an absolute joy to read and I just adored meeting up with Lou Clarke again. Before I go on, I should say that although I won’t give spoilers for this book in the review, you should probably at least have read Me Before You before you read any further as it might be hard to review this book without inadvertantly hinting at some details from that book. Still here? Good, let’s get on to talking about Still Me. We meet our heroine Lou Clarke babbling inanely at an immigration officer at the airport as she arrives to begin her big adventure spending a year in New York. This sets the tone for the book as we see that Lou is as endearingly enthusiastic as ever. She tells the official she is “going to do something new every week… and going to say yes.” Lou knows how precious and fragile life is and is determined to enjoy every moment of her adventure. As the immigration officer cautions her though, she needs to “Be careful what [she] says yes to.” Meeting Louisa at the airport was like meeting an old friend again, as she prattled nonsense at the immigration officer. I did wonder if she was going to make it out of the airport or if this book was actually going to be about her heading home rather quickly! Lou’s excitement at being in New York was completely infectious and I couldn’t wait to follow her on her New York adventure. Still Me, though full of humour, isn’t all just about the laughs though. Lou is working for a very rich family who live in a plush apartment block by Central Park. Her employers are the Gopniks. Agnes, the second Mrs Gopnik and much younger than her wealthy husband, is described as being ‘a handful’ and that was certainly true. The other staff and residents of the apartments such as Ashok the porter, enigmatic housekeeper Ilaria and Mrs De Witt the resident of the apartment across the hall, are just wonderful additions to the cast of characters, being quirky, grumpy, endearing and frustrating. Lou is missing her paramedic boyfriend Sam and very aware of the distance between them. She is determined that their relationship will survive the separation but on the occasions when they do get together, circumstances and misunderstandings seem to contrive to create difficulties for them. Lou is really unsettled when she meets handsome Josh who bears a remarkable similarity to her former employer Will who she loved so very much. 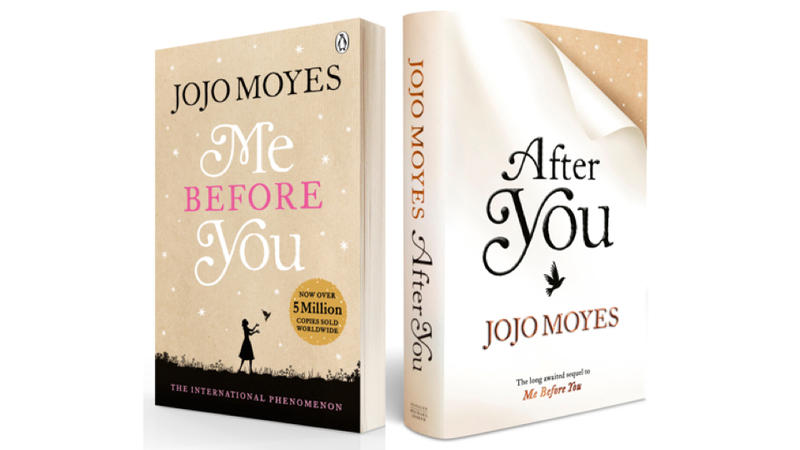 I loved both Me Before You and After You and I’m so pleased that Still Me is just as wonderful a read. I think it would be hard not to have a fondness for Lou and the situations she seems to find herself in. Although she is considerably younger than me, she’s a character I have so much empathy for. You can really understand her feelings and the way she reacts to circumstances. She may get herself into some daft situations but she is a very principled person at heart, wants to do the right things and is loyal and trustworthy. She’s just the kind of person you’d like as a friend. She feels very real. Whatever circumstances Lou finds herself in, she is definitely still herself and that’s one of the reasons this book is so brilliant. You could easily read this as as standalone but to really get to know Lou and understand her circumstances, I’d recommend reading the whole trilogy in order. In fact, I might just go back and re-read them all myself! 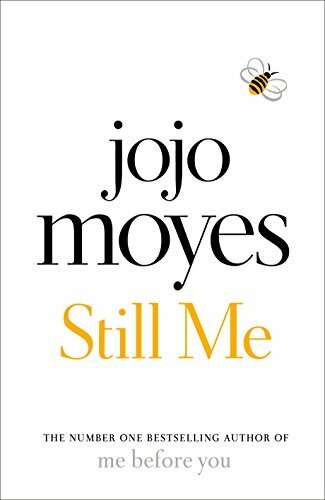 Jojo Moyes’ writing is once again warm, funny and emotional and Still Me is a worthy addition to the Me Before You trilogy. Oh and I do hope it doesn’t stop at a trilogy, that we get to hear more about Lou as she no doubt continues to have more adventures. I really hope there’s a book four!